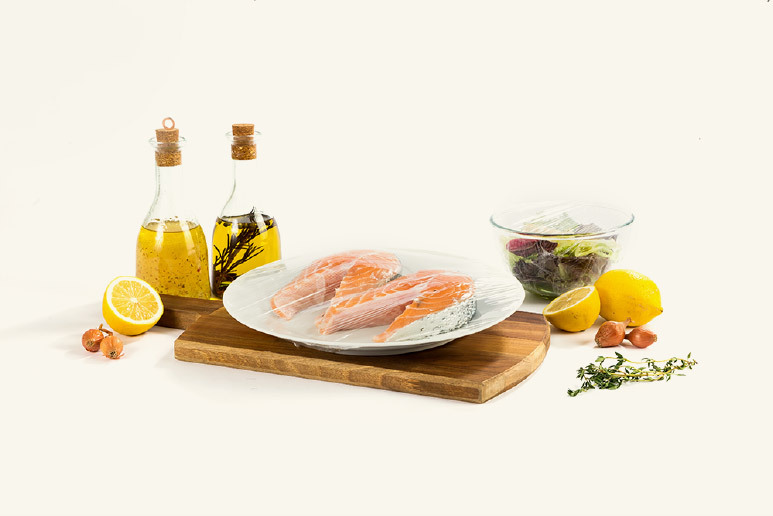 Our cling film, which we introduced in 1987 with COOK brand for the first time in Turkey, thanks to its elastic structure, allows the foods to stay fresh longer and to be stored in a hygienic environment by preventing food to interact with the air. Our cling films, which you can use for packaging and storing of food comfortably, do not contain elasticity enhancer and harmful substances. Cling film easily adheres on a large number of smooth surfaces thanks to the static electricity accumulated on its surface. Cling films intended for industrial use prevent the disintegration of product or package groups. With this feature you can use industrial cling films for home and office transportation. In the beginning cling films are produced from polyvinyl chloride (PVC) and there were some concerns that some agents used as plasticizers may penetrate into fatty foods and may be harmful to health. Since then cling films are being produced from VLMF PVC, low-density polyethylene (LDPE) materials and polymerized plastic. 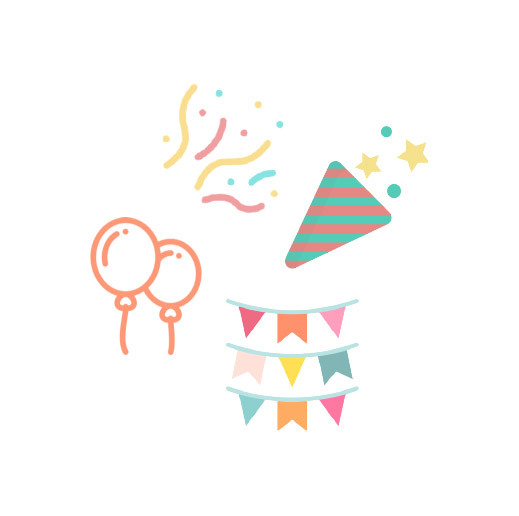 The adhesive properties of LDPE, which does not contain hazardous chemicals, are lower than those produced out of PVC; however it is more suitable for healthy use in the kitchen. All manufacturers around the world are liable to prove that used materials are not toxic in accordance with ISO 10993. According to the European Food Codex, polyethylene (LDPE) cling films can contact with all kinds of food, including fatty foods. Our fully-hygienic cling films do not contain Bisphenol A (BPA) and phthalate derivatives which play an active role in producing materials such as plastic, nylon, polyester and PVC. The cling films we produce for more than 40 brands, especially COOK, are produced in different sizes meeting your needs in line with both kitchen and industrial use. You can reach for more information about Cling Films from here. 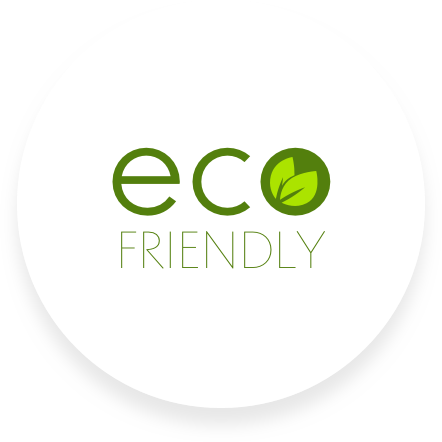 Biodegradable Cling films, which were firstly introduced to Turkish market by us in 2013, protect your food and nature with the same sensibility. Biodegradable Cling films are produced from bio-soluble polyethylene in order to minimize the damage of uncontrolled plastic waste left in the environment. The standard cling films formula has been modified in the production to include bio-additives that allow them to dissolve in the environment. The additive is degraded to a structure in which the plastic can be used as a food source by microorganisms found in the soil. Thanks to the consumption of microorganisms, plastic dissolves in the nature in a short period of 2 years. This dissolution, which takes place within 2 years, is shorter than the dissolution time of branches and hay found in the nature’s structure. As a standard, our biogradable products are produced in a way where they decompose in nature within 24 months. This period can be extended or shortened as per your request. More detailed information about the Biodegradable Cling films can be found here. Pull the film, press and cut. It’s all that simple! It is now very easy to find the beginning of cling film and cut it in the desired length with our patented product COOK Press&Cut Cling Film Cutter, which we introduced for the first time in Turkey in 2016. Press&Cut, which makes your kitchen life easier, continues to maintain its first performance with its special design and quality materials even after many years. The protective cover prevents the cling film to blend and keeps it proper. It cuts the film for you with a simple movement during cutting and protects your fingers and hand thanks to its hidden knife. Press&Cut special production knife is resistant to wearing out. You can use Press&Cut cling films in your microwave oven for thawing and heating without direct contact with your foods. You can use it freely in the fridge and freezer. You can clean the equipment by simply wiping it with a damp cloth. We recommend that you do not wash it in the dishwasher and use cleaning materials such as detergent to clean the surface of the equipment. We recommend that you do not touch the cutting blade section or the blade itself to avoid any injuries. We recommend that you use the specially produced ‘SparePress&Cut Cling film’ so that the equipment can work properly after the cling film inside the equipment is finished. Otherwise, the equipment may not work properly. More detailed information about the Press&Cut Cling Film can be found here. Microwave cling films have a higher wall thickness compared with standard cling films. Microwave cling films, which are a safe and practical solution for re-heating and serving food, evacuate the excess water vapor thanks to its perforated structure and prevent any stain in the oven through leaping of watery foods and drinks during the heating process. We recommend that you do not fill the container you use in order to balance out the pot liquor and the steam which is formed during heating. It is necessary to leave some space between the film and the meal. Microwave Cling film is not suitable for the traditional oven use. It should not be used in grilling in united ovens and hot air cooking locations. Pre-cut cling films provide ease of use thanks to its perforated structure, which allows you to handle your kitchen works quickly and practically. Cling films easily adhere on a large number of smooth surfaces thanks to their elastic structures and static electricity accumulated on their surfaces and thereby prevents the smell of food from dispersing and mixing. It allows them to stay fresh longer and stored in a hygienic environment by preventing food to interact with the air. Pre-cut cling films can be used to pack, store and transport all food products. You can use pre-cut cling films in your microwave oven for thawing and heating without direct contact with your foods. However, we do not recommend using cling films in microwave ovens or cook while in direct contact with food, in case sugar or fat-rich foods warm up and melt the protective layer. 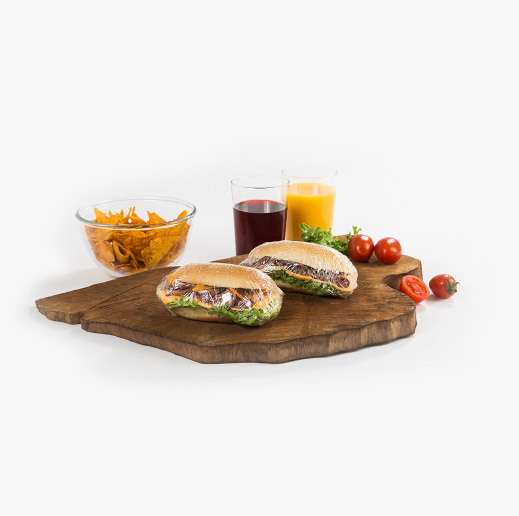 The PVC cling film, thanks to its elastic structure, allows your food to stay fresh for a long time by removing air interference. It helps to prevent dispersing and mixing of odor and protects the food from external factors. PVC cling film, a practical solution for storing your food in a hygienic way, can be used to pack, store and transport all food products. The PVC cling film easily adheres onto a large number of smooth surfaces thanks to the static electricity accumulated on its surface. You can use PVC cling films in your microwave oven for thawing and heating without direct contact with your foods. However, we do not recommend using cling films in microwave ovens or cook while in direct contact with food, in case sugar or fat-rich foods warm up and melt the protective layer. You can use patterned cling film to store, pack and transport your food with ease and it also helps you create pleasurable and fun presentations. Patterned cling films easily adhere on a large number of smooth surfaces thanks to their elastic structures and static electricity accumulated on their surfaces. It helps protect food from airborne bacteria and microorganisms by preventing food to interact with the air. You can use patterned cling films in your microwave oven for thawing and heating without direct contact with your foods. However, we do not recommend using cling films in microwave ovens or cook while in direct contact with food, in case sugar or fat-rich foods warm up and melt the protective layer. 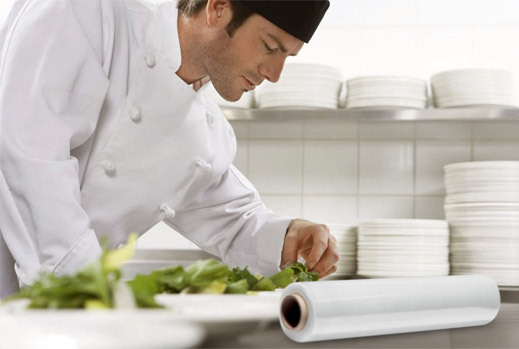 We produce restaurant-type cling films in order to facilitate your business in all large-volume and commercial kitchens from restaurants to hotels, pastry shop to fast-food companies, in different lengths and widths depending on your needs and area of use.